Skirting down to the 52-week low, Apple investors aren’t too enthusiastic with Apple’s iPhone 5 announcement. In a field of many premium phones, the iPhone 5c and 5s seem lackluster in spite of all available colors. Are investors in tune with customers? Android phones are larger, brighter, and more premium. New Android 4.3 is a great match for Apple’s new iOS 7 so the market is ripe for competition among cell phone consumers. The iPhone 5c can potentially be the winning swing for Apple among the iPhone 5 models. At 99.95 (with a 2-year contract) for a 16GB model, iPhone 5c is not only affordable but attractive to parents and kids. The colors are perfectly suited for a somewhat untapped youth market. The iPhone 5c may rob Apple of the iPod market category but now the iPhone 5c will be perfect for gaming and music aimed at the pre-K through high school markets, plus all other features iPhones were popular for. There is a customer base for the 5c. As for the iPhone 5s, at the offering price point, there are many other smartphones to choose from that offer new, exciting features. Seasoned and new adult users can choose from a vast menu of phones and Phablets. The question now is whether Apple can drive the 5c to get full potential from the youth market. A supplementary question is whether it will triumph gloriously over the loss of iPod sales to this age group. From an investors point of view, Apple lose iPod sales but may gain 5c sales to a new market. The iPhone 5c is the driver. The iPhone 5s may be flat or mediocre. On a broad, blank balance sheet, the success of the iPhone 5c needs to become the most wanted new toy to theoretically put Apple back into the black. Unless Apple can successfully tap the kid market with its iPhone 5c entries, some Apple executives will be seeing many colors as investors shed more shares of the once domineering company. Has Apple lost its marketing wisdom post Steve Jobs? The answer may be seen as Apple share prices fall over the next few months. Apple needs to focus on the iPhone 5c as the magic trick to help make the iPhone 5c as popular as the iPhone 4. It might be difficult to pull off and even harder to find an iPhone 5c under the Christmas tree. Maybe Apple needs to make a deal with Santa? Almost all currently sold cameras can now allow a choice of still and of video/movie images with high-definition quality. While most cameras shoot HD quality images, the picture may not be sharp and vivid because of inadequate lighting. Movies require more consistent lighting to retain consistency from scene to scene, especially when shooting in darkened areas. 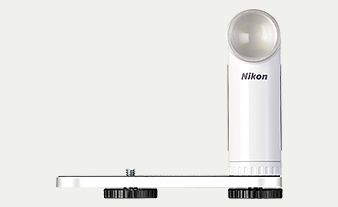 Nikon LD-1000 LED Movie Light is designed to easily attach to all Nikon Coolpix and Nikon 1 cameras to add even illumination. Use of LED lighting allows for a small, lightweight unit that is energy efficient while delivering bright lighting. Additionally, the Nikon LD-1000 LED Movie Light features a built-in diffusion panel, enabling natural, even exposure and smooth textures with soft light. For further versatility, the bracket can be removed from the movie light, allowing it to be held in the hand for free control over the angle of lighting. Smartphones and tablets also allow movie captures but suffer from inadequate lighting in some areas. The Nikon LD-1000 LED Movie Light sets a statement that Nikon compact camera users now have an advantage to capture higher-quality HD movies on their Coolpix and Nikon One cameras. At a suggested retail price of $99.99, the compact and stylish Nikon LD-1000 LED Movie Light emits continuous illumination ideal for tabletop photography and movie recording at a close distance. Connection is easy with any Nikon 1 or COOLPIX camera that has a tripod socket. It is available in white or black. The included bracket allows horizontal angle adjustment even when the LD-1000 is attached to a camera. The bracket is attached to the tripod socket and so can be used with any Nikon 1 or COOLPIX camera which doesn’t have accessory shoe. The new Nikon LD-1000 LED Movie Light operates using 4 AAA batteries and may deliver up to 2 hours of operation with lithium-ion batteries or about (up to) 30 minutes on alkaline batteries. Achieving high-definition movies is as easy as counting pixels. Getting the best image quality with your Coolpix camera means getting the Nikon LD-1000 LED Movie Light. While Apple hosts the iPhone 5, Intel announces in San Francisco that they have a smaller and faster processor called the Intel Quark, designed for wearable devices. Intel doesn’t believe that mobile devices should be limited to smartphones and tablets. Their new Intel Quark processor is one-fifth the size of their small Atom processor, is ten times faster, and uses less energy. It may be found in several inexpensive (around $100) tablets during the 2013 holiday season. Further down the road, the Intel Quark may be suited to new wearables. When you see and hear about Google Glass and Samsung Gear, wearable mobile devices are the next phase of development that goes farther than the consumer market. Tiny devices may be created that uses Intel Quark for medical observations and uses. While the Intel Quark is aptly suited to extend performance in new smartphones and tablets, Intel’s loftier goal is to see the Quark employed in t5he pioneering fields of wearables – the next-gen of mobile devices. In attempting to improve medical technologies, smaller processors like the Intel Quark may be used to improve health monitoring capabilities. Continuous monitoring can occur via wireless monitors, wireless patches and articles of clothing. But cost is, of course, an issue—as is patient compliance. Wearable and implantable technologies sense parameters of various diseases and can either transfer data to a remote center, direct the patient to take a specific action, or automatically perform a function based on what the sensors are reading. For example, if blood glucose is running low, insulin could be automatically administered. In some cases, sensors are employed in temporary wearable tattoos for completely minimal invasiveness. Implantable computers may help people with hearing, vision, and motion problems. It can aid prosthetic devices move toward smoother limb replacements. The process of implanting computer technologies into miniscule devices is the core of further research and innovation. Processor designers and manufacturers like Intel are scoping beyond smartphones and tablets for newer mobile applications that extend farther than games, music, and internet. Intel Quark aims to penetrate this market. Many of the devices discussed here are scientific dreams but realization seems more possible as processors and technologies move further beyond miniscule. The Intel Quark is the first introduction. Expect more to follow. Apple’s continuation with its iPhone 5 fascination may linger longer but if Apple wants to continue leading the mobile revolution, wearable may be the next step. Now that Assad has agreed to Putin’s plan of handing over Syria’s chemical weapons to an international group for destruction, what will Obama speak about tonight? Is there any news? The other major news story addresses how Apple is going to further the iPhone. Apple’s iPhone 5 is going to be great if you love your iPhone 5. The “no news” event here is that Apple isn’t looming for the large screen Android smartphones. It’s adding colors and a lower price on the iPhone 5c and adding silver and gold to the iPhone 5s at the same prices as the original iPhone 5. There’s no exciting news other than the financial stock market is soaring higher. The iPhone 5c is the stylish, affordable iPhone 5. Choose among 5 colors: White, Pink, Yellow, Blue, and Green. a 16GB model is only $99 and the 32GB is only $199 (with a service contract). Here is where Apple excels. This lower price will make the iPhone 5c accessible to more people. The iPhone 5c at 0.35 inches thick is slightly thicker than the iPhone 5s at 0.30 inch. 5c has an A6 processor while iPhone 5s has a faster A7 processor. The 5c weighs 4.65 ounces while the 5s weighs 3.95 ounces. The iPhone 5s comes in space-gray, silver, and gold finishes. The major advantage offered by the iPhone 5s is a secure fingerprint reader that is designed to only go on with your (or your selected) fingerprint. That may be worth it! For those seeking a more minimalist iPhone experience, last year’s popular 4s is available FREE with a 2-year service contract with T-Mobile, AT&T, Sprint, or Verizon. All of the new iPhone 5 models will come with Apple’s latest iOS 7. This new system introduces great new features like Control Center, AirDrop for iOS, and smarter multitasking. It also makes the things you do every day even easier, faster, and more enjoyable. It also offers some more serious features that business people will love for greater productivity. You’ll be wanting to protect your iPhone 5c and 5s so Apple provides some light cases but more serious protection requires a case like the Otterbox that may (hopefully) be available in Apple’s 5s finishes. The Otterbox Defender iPhone 5c already matches the different colors and may add a few more. It appears that Apple, after Steve Jobs, skirts with traditional approaches by not trying to compete with Android smartphones that sport larger screens. By varying prices, sizes, and colors, Apple is betting that the iPhone 5c and the iPhone 5s will be more inviting, thus assuring Apple’s market share in sales. As Apple’s investment stock has wavered lower in this year, it can be said that Apple would rather boost sales by offering more choices of the iPhone 5. Size doesn’t matter. The number of people using iPhones does matter. It’s an interesting challenge. We have to see how large-screen smartphones Samsung Galaxy 4 and Note 3 or the Nokia Lumina 1020 or Google’s Motorola ROKR X compete over the next few months. The Samsung Gear accessory wristwatch is interesting. Yet it’s more than numbers of phones. If Apple can sell more iPhone 5 models, it keeps more people attached to the many Apple services, such as iCloud and the Apple Store. It’s a bite against Android but will it be lethal? If screen size does matter, Apple’s continuance of the iPhone 5 format may end up flat. I do anticipate that Samsung, HTC, Motorola, and Nokia may offer better prices as the season unfolds. We may have averted a crisis in Syria but the iPhone 5 and Android wars will be accelerating at a critical pace over the next few months. It could remain a stale-mate. Until Apple can find something more exciting to offer in its iPhone line, that may just be what Apple is seeking for 2013 and 2014. In recent NY mayor election, public pre-K became a major issue for developing academic success in future grades. It has been helpful in private schools. According to a recent study at Vanderbilt University, students exposed to the power of positive approval for success in Pre-K schools are likely to self-regulate in future grades. The power of positive may be the root that benefits the efficacy of pre-K. The power of positive thinking are often sought after by many. The ability to achieve it appear more difficult as one grows. Positivity requires a foundation early on. The power of positive acceptance at pre-kindergarten schooling has been shown in a multi-ethnic study that this promotes cognitive approaches that follow in upper grades. Self-regulation skills are related to children’s ability to control their effort, pay attention and stay on task. Lack of those skills creates adjustment problems and potentially impedes learning. This executive function is more difficult to access as children grow. Pre-K is about accepting challenges and succeeding in them. That doesn’t mean developing reading and math skills. These are more conceptual right-brain exercises. One of the behaviors observed was “behavior disapproval” or signaling to a child that despite what he or she has chosen to do, the teacher wants the child doing something different. Although this teacher behavior can be delivered quite positively, the more behavior disapproval, the less gain children made in self-regulation. Private pre-K schools have been very successful with the power of positive approval. As public school systems and governments labor to create pre-K programs aimed at future school success, the failure of implementing the power of positive at this level to all students may lead to neutral or negative results. While home and environment play active roles, the power of positive relationships between parents, teachers, and young children allows kids to develop those crucial executive functions. For all those ideas and appropriations to extending public education to pre-K, ignoring the power of positive behavior enforcement as early discipline training is a vital ingredient for future success. In the ominous fourth quarter, mobile products are setting the stages for greater impact as Samsung Mobile sets the first stage presentation and its space at Berlin’s IFA 2013 is a hot spot. Amidst negotiations about world economy and middle-east affairs, the world awaits Apple’s announcement of new mobile products on September 10 2013. In the mobile world, announcing before Apple is seen as a significant edge. When it comes to offering larger screen sizes than Apple, Samsung Mobile products lead the Android pack and their unveiling of new products a week before Apple is about size, large and small. Samsung N3 or Note 3 is the third generation of one of the largest smartphones around, popularly referred as a phablet – part phone and part tablet. It does seem large as a phone. Samsung mobile adds Samsung Gear as an accessory that scores a touchdown, or attempts to do so. It’s a wearable watch that partners with your Samsung mobile device. Size may matter. Samsung mobile matches both as mobile technology transitions from lifestyle to necessity. In Europe, the Acer Cloud is attempting to gauge Apple’s possible screen size introduction of a screen larger than 4 inches with their Acer Cloud at 4.3 inches. Acer also plans to top Samsung’s new Note entry with the Acer Liquid S2, delivering a 6 inch screen instead of 5.7 inches. Acer Liquid is a large smartphone but they didn’t take a smartwatch pairing into consideration. Samsung mobile shows that size matters and the Note 3 and the Samsung Gear take large and small to new relationships and proportions. The Samsung Mobile GALAXY Note 3 delivers a large screen and the size is matched with powerful improvements that allow users to fully use the screen for more functions. The 5.7-inch Full HD Super AMOLED screen provides a stunning and defined video viewing experience for watching Full HD content, distinct clarity for reading and an elegant canvas for content creation. With its new S-pen, browsing, playing, and texting is better than ever. As Samsung Mobile Galaxy S4 sports a 5 inch screen, the new Note 3 offers a little more screen size for those seeking a little more ease of control. The Samsung Mobile Note 3 offers the convenience of using the additional screen size for multitasking. With the new Multi Window, users can toggle seamlessly between applications without closing the window or opening a new page, allowing for enhanced productivity and collaboration across programs. You may run one application in two windows at the same time. For instance, read the news in one browser while conducting a web search in another, or send an instant message. Using the Samsung Mobile Drag and Drop mode within the new Multi Window, users can easily drag and drop content such as a text or image from one window to the other quickly and easily. In a sense, this Samsung Mobile smartphone takes smart up a level to match multitask functions of a notebook. Samsung Mobile Note 3 is set for the Autumn equinox. It will be available in 32GB or 64GB internal storage along with an additional Macros card slot, the Samsung GALAXY Note 3 and GALAXY Gear are set to launch starting from September 25 in more than 140 countries around the world. Conversely, size is getting to be a little large and (some people say) bulky for use as a smartphone. So Samsung Mobile introduces Gear, a wearable device that acts as a remote for your Samsung smartphone. Samsung Mobile Gear is a hands-free speakerphone and also sports a 1.9 megapixel camera for those on-the-spot photo opportunities. Samsung GALAXY Gear lets users to live in the moment while staying connected to their Samsung GALAXY devices. It notifies users of incoming messages, such as calls, texts, emails and alerts, delivers a preview of those messages and creates the opportunity for users to accept or discreetly ignore those messages. When an incoming message requires more than a quick glance, users can simply pick up their Samsung GALAXY devices and the Smart Relay feature will instantly reveal the full content on the screen. It acts as a bridge delivering a more universal scope and utilization. Samsung Gear is an optional add-on for use with current Samsung Mobile smartphones and (possibly) 5tablets. For all intents and purposes, the wrist wearable device is also a watch, including several face options that create the opportunity to personalize the watch face to serve your needs and styles. It will come preloaded with 10 different clock options and more choices will be downloadable via Samsung Apps. The GALAXY Gear experience can be further personalized by selecting from six colors that will be available at the September 25 launch: Jet Black, Mocha Gray, Wild Orange, Oatmeal Beige, Rose Gold, and Lime Green. We’re reaching the points where mobile devices are becoming more than a lifestyle choice. Samsung Mobile realizes that smartphones ne3ed to do more in order to be a necessity. Coupling a smartphone and a wearable device is a really cool concept and, if Apple doesn’t offer a similar feature, may make Samsung Mobile devices even stronger competition in the year ahead. Size makes a difference. Bridging small and large offers the best of both. Expect this to widen its reach over the next couple years. The difference is, for Android users, Samsung Mobile introduced it for their smartphones and that makes Android more appetizing. If Apple, however, follows the rumors by releasing an Apple iPhone or iPad wearable partner, Samsung mobile may be in for a tougher stroll. Love has always been embodied by pairing. Samsung mobile offers two devices that make connecting more exciting and friendly. Distracted driving may be more lethal than military wars. From 2001 to 20013, USA casualties in the Afghanistan War total 3371. That’s just about the same number of accidents caused by distracted driving in one year. According to published statistics, distracted drivers are a leading cause of deaths and injuries. In 2011, 3,331 people were killed in crashes involving a distracted driver, compared to 3,267 in 2010. An additional, 387,000 people were injured in motor vehicle crashes involving a distracted driver, compared to 416,000 injured in 2010. One of the leading distractions is texting while driving. Sometimes your smartphone can be an answer to help minimize distracted driving and the accidents that are so dangerous. Here are some apps that you may find useful. Among available apps to help r4educe cellular phone use or texting while driving is a clever Android app aptly named Textecution that disables texting when you are driving faster than 10 miles per hour. While it is designed for installation on a children’s phone, this app may reduce distracted driving incidents with adult drivers. Still need to text while distracted driving? Here is an app that helps reduce distraction. DriveSafely is another app that speaks your texts and lets you speak your texts in response. It may be about as safe as a car speakerphone. A popular magazine, Family Circle, lists suitable apps for teen drivers in your family. While many apps are aimed at teenage distracted driving, they apply to adults as well. Texting while driving should be seen as a form of Driving While Intoxicated (DWI) and the laws should be stricter than they are. When texting or using a smartphone in your hand or ear, you are seriously compromising attention to the road ahead. Distracted driving is a form of suicide or homicide. Don’t be a casualty. Don’t be a killer. Distracted driving is easier than using a knife or gun. Only seconds make the difference between having fun and being guilty of injuring or killing someone. With an app on your smartphone, it can enforce responsibility over an addictive obsession. Help make distracted driving a thing of the past. Death comes in all forms although war has been the leading cause of death through the history of humankind. United States is a pill popping nation where people are obsessed with drugs that improve performance, fight pain, treat chronic conditions, and suppress certain behaviors. Indirectly, United States citizens are subjected to chemical warfare within the USA. The Obama Syria crisis may be a moral issue about use of chemicals in warfare but the USA has chemical problems within our borders. The makers of Tylenol finally agreed that better labeling is needed to warn users that misuse of Tylenol may result in liver damage. Misuse of many common medicines may result in liver disease and we’ve seen many prescription painkillers taken off the market due to possibilities of liver and digestive damage. Popular statins-based pills used against chronic cardiovascular diseases may help manage cholesterol levels while possibly raising liver enzymes that could indicate liver disease. Misuse of some health supplements, such as Niacin. may have liver poisoning effects, including performance enhancers like Lipokinetix sold for weight improvement. Humans have used chemicals in warfare for thousands of years. Chemical military warfare where chemicals other than explosives are used as weapons uses asphyxiating or nerve gases, poisons, defoliants, and other toxic agents in concentrations that can harm populations with epidemics and lingering symptoms over time. Misuse of pills may result with similar effects over time. Warriors of the past used alchemy to treat swords with poisons to assure death against enemies. Chemical agents in warfare have been used in both World Wars, Korea, Vietnam, and the first Iraq offensive in the 1990’s, even though there was an international agreement against chemical warfare. The Obama Syria crisis centers on this as international chemical warfare agencies continue to try to suppress such misuse. Is the creation of a doctrine against use of chemical warfare morally and legally binding when there are many countries that did not sign them in agreement? The Obama Syria crisis has vague moral implications if Syria is not an active supporter of chemical weapon use. The effects of chemical warfare may linger as pollutants in our environment from air, ground, and water supplies, much like second-hand smoke from cigarettes. Civilizations really do not fully comprehend the subtle dangers of chemical misuse and many engage in voluntary abuse. The media is chock full of drug ads that you should ask your doctor about and many of these products have some very serious side effects. We are at war with ourselves and with others on a constant basis. The misuse of chemical agents happens every day and I think, in lieu of the Obama Syrian crisis, USA federal government money should be allocated to help reduce domestic misuse of chemicals. The United Nations should work hard at universalizing the prohibition of chemical warfare with dire enforcement consequences. Let’s think about how the world has compromised our natural Ozone layer that can one day destroy us all. That’s chemical suicide. The United States suffered a dirty, civil war. In Europe, monarchies virtually committed suicide amidst civil revolutions. In Libya, Egypt, and Syria there are civil wars against dictatorships. USA is but a handful of countries where democracy actually works and is planted from seeds. The Obama Syria crisis won’t sow seeds of democracy. What Obama and Kerry advertise as a moral issue may result in immoral implications through the 21st century. Countries really don’t want to resort to war but there are many civilizations that are unique in their beliefs and ideas of enemies. While any war may be dangerous, dominance and submission in war has sown evidence that it isn’t right or wrong. It is how the world finds balance. Thinking about shooting missiles at Syria as punishment for use of chemical weapons won’t teach the Syrian government any lesson. The Obama Syria crisis of waging punishment may result in further terrorism against the USA as the future unfolds. Without world support, the USA appears as a dominant oppressor instead of an example of morality. If we look at animals and people all around, acts of war seem to be derived from genetic predispositions associated with survival. War is costly and supports only those producers of weapons and support devices. War wastes monetary resources that can extend our planet’s existence. The Obama Syria crisis is not a moral issue. USA should not focus on punishing Syria unless most of the world is ready to join. The USA should be an example that two wrongs don’t make it right. We may oppose chemical warfare but, within our borders and homes, many live by misusing food and property for personal and corporate gain. The USA used chemicals like Agent Orange and Napalm in recent wars. Our government apologized for its misuse. In the morality of the Obama Syria crisis, does the USA deserve to be punished? There were few moral protests, if any, as Call of Duty 3, displayed a chemical warfare attack on London as part of this popular video game. Our government by the people, of the people, and for the people should stand as an example that the values of freedom and availability of opportunities shine in the USA. Let others decide for themselves. The USA also has problems of chemical misuse within our borders. Chemicals offer good and bad effects. Syria may have misused and abused its people by using chemical weapons but is it United States’ responsibility to be an executioner in this Obama Syria crisis? Our unique democracy has a responsibility to set higher standards. The United Nations should censure Syria and bring the Syrian government heads to trial. That’s what civilization ought to set as an example.